Deer hunting is about many things. And I assure you that while it isn’t all about big deer, we would all love to set our sights on a truly incredible representation of the species. Most hunters who say otherwise aren’t being entirely truthful with themselves. More importantly, while quality deer management and trophy management are not the same thing, having a balanced age structure (and bigger bucks) does translate to a healthier deer herd. So again, it isn’t just about big deer. It’s about analyzing one of the biggest tell-tale signs that a state’s deer population is thriving. It’s important to note that record bucks are rare — even under perfect conditions. It takes a lot to get them there. They need three things to achieve record status: age, nutrition and genetics (in that order); and they need a lot of each. Record-keeping systems, such as the Boone and Crockett Club’s, help to retain important information on what states are succeeding at conservation and quality deer management, and which ones aren’t. Note: All data from Canadian provinces have been excluded for the sake of state-ranking purposes. So, now for the data. We’ve long been told that certain southern and midwestern states — such as Texas and Illinois— are some of the best big buck states. Simply looking at the all-time best states for Boone and Crockett whitetails would suggest that, right? This is the list that’s generally referenced by most outdoor media. It’s the top states for total number of record typical and non-typical bucks produced. So, I’ll ask it again, the only states that crank out good numbers are the midwestern destinations, right? Let’s look at the data a little differently. Here are the top states for total number of record typical and non-typical bucks produced within the last 10 years. Things changed a little with this list, but not a lot. Honestly, neither of those lists paint an accurate picture. The reason the midwestern states have long been heralded as the kings of deer hunting is in part due to their total land mass. Plus, the cat has long been out of the bag that key midwestern states produce giants. People have been flocking to said states for more than two decades now and that (and other things) have taken their toll on the deer herd. So, now for more reliable data that actually shows you something worth looking at outside of purely historical, nostalgic data. All data henceforth is based on records for total entries per square mile of total land mass within the last 10 years. Analyzing the data in this manner takes away the square-mile advantage that many bigger states — such as Texas — have over smaller states. Simply gauging how many Boone and Crockett deer a state has pumped out doesn’t provide an accurate snapshot of which states are truly the best for killing a Boone and Crockett buck. The lists above will not look like the lists below. Here is the data that you need. Things change a lot when you look at each state on a level playing field. They change even more when you just look at the most recent data (within the last decade). Here are the top overall states for Boone and Crockett bucks for total entries per square mile of land mass within the last 10 years. As shown above, comparing total entries to entries per square mile of land mass tells two completely different stories — especially outside of the top five. My takeaway from this — don’t overlook certain northeastern and southeastern states. Furthermore, Ohio, Kentucky and Indiana are the new kids on the block. That’s the new golden triangle for big white-tailed bucks. Illinois, Iowa and Wisconsin no longer hold that title like they did 10 to 20 years ago. And when you think about it — that’s a pretty eye-opening fact. Also, interestingly enough, famous whitetail states such as Texas, South Dakota, Montana and most recently Tennessee, didn’t even make the top 20 list when looking at every state on a level per-square-mile playing field. Furthermore, eastern states such as Delaware (No. 10), Maryland (No. 11), Connecticut (No. 14) and Pennsylvania (No. 18) did make the top 20 — something they don’t do on the traditional all-time lists commonly referred to. Some folks really get worked up over big typical whitetails. They are truly special after all. It takes a lot for a typical whitetail to reach B&C status. There’s even some data to suggest that big typicals aren’t as common as they once were. Instead, it seems non-typical genetics have become much more prevalent within the last 20 to 30 years. One can only speculate as to why that’s happened. But that’s a discussion for another day. Here are the top overall states for typical Boone and Crockett bucks for total entries per square mile of land mass within the last 10 years. The top 10 for typical bucks looks as you would expect it to. But there are a few noteworthy things. Ohio drops down a few spots, confirming that it’s more of a non-typical-producing state. But bigger than that is the fact that Rhode Island (No. 16) climbs into the top 20 — which it does not do when factoring in non-typical records. Also, Oklahoma falls completely out of the top 20, Nebraska drops from No. 16 to 19, and Kansas falls from No. 8 to 10 when you take away the non-typical factor, which reaffirms that the Texas-Oklahoma-Kansas-Nebraska corridor is a hotbed for big non-typicals — not so much big typicals. Don't Miss: Are the Biggest Typical Whitetails History? Other deer hunters really love a big, nasty-looking buck with stickers, kickers and drop tines going every which way. If that’s your thing, and killing one is your goal, these are the 20 states you need to look at hunting. Here are the top overall states for non-typical Boone and Crockett bucks for total entries per square mile of land mass within the last 10 years. Looking at this list, several things are apparent. Ohio and Indiana jump to the top when only considering non-typicals. Texas finally makes it onto a top-20 list without using its size advantage. South Dakota does the same. And neither Connecticut nor Rhode Island has produced a single non-typical Booner in the last 10 years, despite ranking No. 11 and 16 (respectively) on the typicals per square mile of land mass list since 2008. Also, Connecticut ranks No. 14 for Boone and Crockett bucks for total entries per square mile of land mass within the last 10 years — without a single non-typical to show for it. All interesting points to consider. Most hunters either can’t or choose not to travel all over the country in pursuit of whitetails. That said, many do hunt within a given region. Here we break down the top states for Boone and Crockett bucks per square mile of land mass since 2008 by region. Northeast: Most people think of Maine, New York and Pennsylvania when big northeastern bucks are the discussion topic. But the data shows that Delaware, Maryland and Connecticut are actually the go-to states if you want a chance at killing a stud. This resource sheds light on season dates, license costs, trophy buck potential, little-known knowledge about specific locations, and much more. Southeast: A lot of people refer to Kentucky as a midwestern state. But it’s actually a southeastern one. It blows the rest of the region away in terms of record-book bucks, though. Midwest: Wisconsin is king. But Ohio and Indiana are the real headliners here. Things have certainly changed within the last decade. West: Montana has always dominated the headlines for big whitetails. And for Pope-and-Young-class deer, rightfully so. But it’s a little overrated when it comes to true giants. Even the likes of Idaho and Washington have higher odds of crossing paths with one. A big, symmetrical rack is a thing of beauty. Here we break down the top states for typical Boone and Crockett bucks per square mile of land mass since 2008 by region. Northeast: It looks like Maryland and Connecticut are the best destinations in this region. It makes you wonder why Pennsylvania and New York get all of the press. Southeast: The order of this list looks identical to the previous southeast region list. The northern- and western-most states within this region are the top producers. Midwest: Much the same as the overall list for the Midwest. Illinois, once the talk of the country, barely makes the top five. West: Montana climbs a little higher when just looking at typicals. But Colorado is the real winner here. Who would expect it to rank so well? Isn’t that just an elk state? There’s nothing quite as adrenaline-driving as a moose-like whitetail rack swaying through the timber. Here we break down the top states for non-typical Boone and Crockett bucks per square mile of land mass since 2008 by region. Northeast: Both New Jersey and New York finally make it onto a list. That’s certainly more of a win for the former, though. And quite shocking in regard to the latter. New York isn’t the big-buck state people like to think it is. Southeast: And the southeast region almost goes three for three in keeping the same order. The only difference? Virginia and West Virginia trade places in the non-typical category. Most notably, though, is that Tennessee (the home of the largest hunter-harvested non-typical) doesn't make the list. Midwest: What’s most shocking about this is that Iowa drops down to No. 5. Even Illinois has produced more Booners of late. West: Texas is still miles ahead of the other western states. But you have to love that Washington climbs all the way up the ladder to be No. 2 in the West for the most non-typical bucks per square mile of land mass in the last 10 years. Data is a wonderful thing. It provides clarity in a world full of foggy confusion. It sheds light where there previously was none. And it dispels fallacies that people have believed for years. 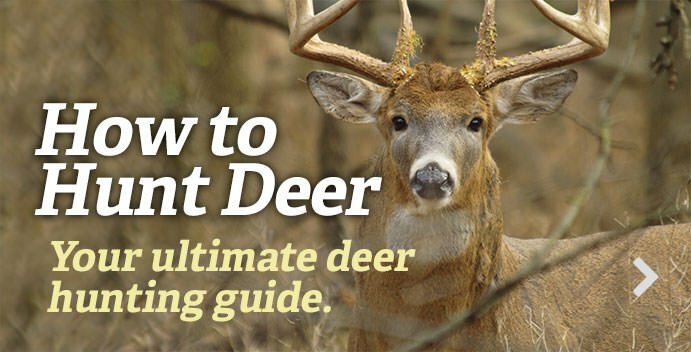 While none of this information will directly help you kill a deer, it does tell a story. It tells a story of conservation. It shows how the landscape is changing for deer and deer hunters. It hints at what the future of big whitetails might look like in the decades to come. But at least now you have accurate and applicable data in hand to help you decide where you’ll spend your time chasing your dream buck.